The cryptocurrency hardware wallet maker Trezor recently issued a warning to its customers that thieves are employing new methods of stealing. 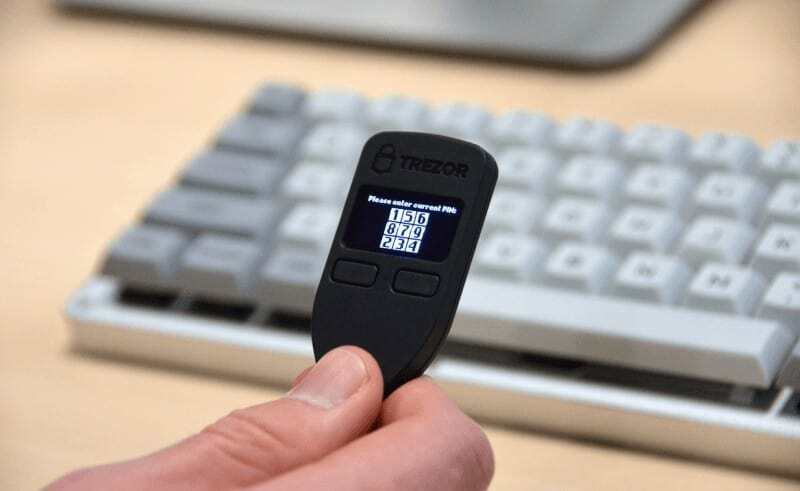 Trezor is most well-known for the Trezor One hardware wallet, as well as the Trezor Model T.
More specifically, thieves are now said to be spreading fake ”imposter devices” that resemble Trezor One. The products are described by Trezor as not being ”dissimilar to counterfeit brand clothing”. The fake Trezor devices are said to be consciously designed to mimic Trezor One to the last detail. According to a fresh Medium post addressing the issue, Trezor argues that these ”one-to-one copies of Trezor One” both pose a serious threat to customers, and risk tarnishing the Trezor brand. One way in which these devices can be identified is that they are often sold at a significant discount. Trezor also stresses that the company ”cannot guarantee [clone devices’] function” as they are produced by a third-party. The impostor devices are also called ”unsuitable for secret storage of cryptocurrencies and other digital assets” by Trezor. Users are called upon to actively resist from buying or using any such devices. Moreover, they are encouraged to report such fraudulent Trezor One clones, in order to ”help [Trezor] fight these scams”. In addition to this, Trezor claims to be vigilantly exploring what legal – and ”other” – steps might be suitable to pursue. Ultimately, Trezor aims to stop these fake devices from being both produced and distributed. In addition to the relatively low price tag, there are some other ways in which to identify illegitimate devices. One of these is the holographic seal which users need to open when unpacking the box. The fake holographic seal is notable less complex than the legitimate one. Trezor has also uploaded a video so that customers can compare the holographic seal on their devices. Trezor highlights that customers who have bought Trezor devices from Trezor’s official shop do not have anything to worry about. Furthermore, those who purchased devices from authorized resellers during 2016 or 2017 should also be unaffected. The Medium post is also concluded by an urge from Trezor to buy any Trezor One devices through ”official channels”. Buyers should also be especially cautious when buying from AliExpress, eBay, Taobao, or unknown Amazon resellers.